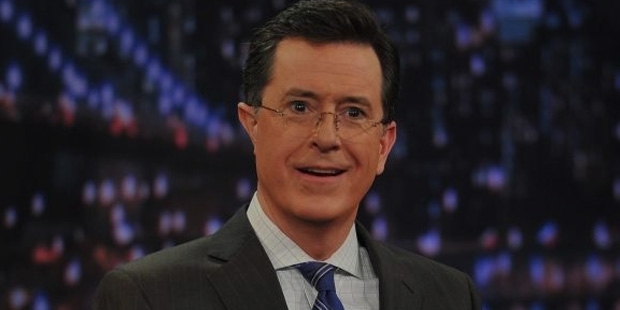 Stephen Colbert is an American comedian, writer, producer, actor, singer, and television host . He hosts the talk show “The Late with Stephen Colbert” on CBS. Colbert wrote and performed “Dana Carvey Show” briefly before collaborating with Sedaris and Dinello for “Strangers with Candy.”He shot to the public fame with “The Daily Show”, a news-parody series on Comedy Central. 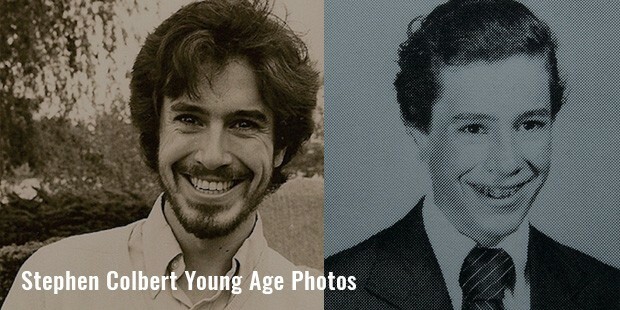 Colbert was interested in theatre before he became an actor. Colbert was born to James William Colbert Jr. and Lorna Elizabeth in Washington D.C. Colbert as a child had to teach himself to suppress his Southern accent and hence imitated the American News anchors. 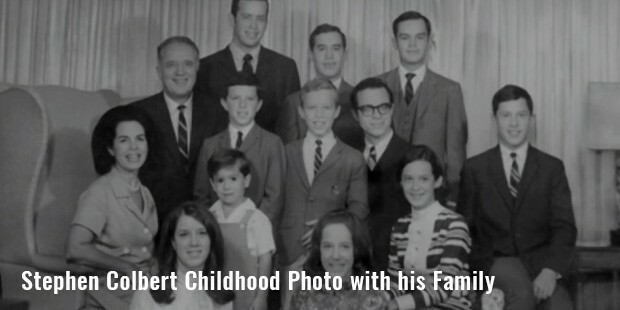 Colbert’s two brothers and his father died in a crash when he was only ten years old. Colbert participated in several school plays and contributed to the school newspaper highly. As a child he wanted to study Marine biology but a surgery damaged his inner ear preventing him to involve in scuba diving. He applied to Hampden-Sydney College in Virginia and continued performing stage plays while studying philosophy. After two years he transferred to Northwestern University as a theatre major to study performance. He loved performing even when no one was coming to see the shows. He later debuted on Comedy Central in 1995 with the series “Dana Carvey Show.” He then worked as a freelance writer for “Saturday Night Live” with Robert Smigel. 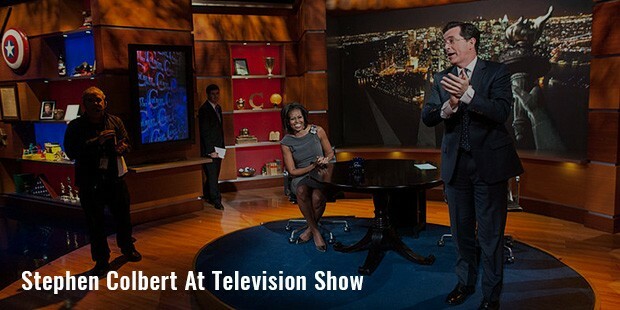 Colbert also has worked as a scriptwriter for VH1 and MTV. 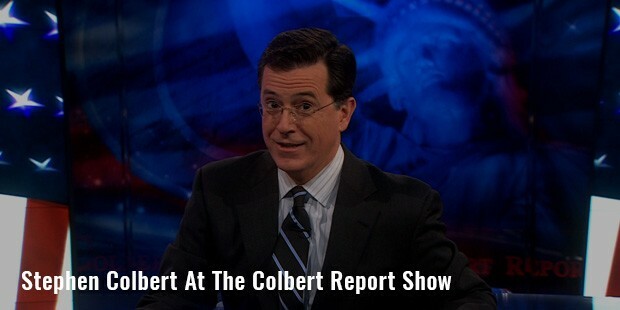 Colbert was then hired on a trial basis by the “The Daily Show’s, then producer Madeline Smithberg. 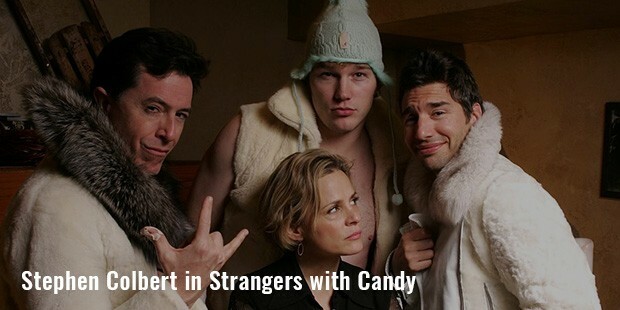 Colbert along with Sedaris and Dinello developed a new comedy series “Strangers with Candy. The series were critically noted for its use of offensive humor and left the audience with a skewed and politically incorrect moral lesson after each episode. The show ran throughout 2006 on Comedy Central though it did not have great ratings. Colbert joined the cast of “The Daily Show” in 1997. He was referred as the new guy on set for almost two years of his joining. Colbert’s character was portrayed as least knowledgeable. In 2005 Colbert hosted his own television show “The Colbert Report.” Comedy Central signed a long-term contract for “The Colbert Report” within its first month on the air. 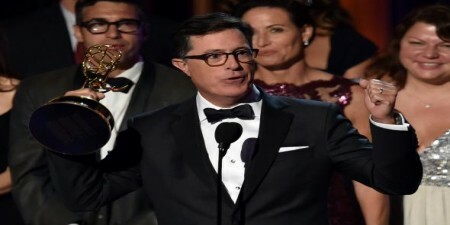 Colbert came in the public eyes for his performance in “Strangers with Candy.” His show “The Colbert Report” was a huge success and won him an Emmy Award. His joined the cast of “The Daily Show” in 1997 and developed a correspondent character on the series. He succeeded David Letterman in “The Late Show” on CBS. Colbert is known for his satirical comedy on the political scenarios. His show “The Daily Show” took on more political tone and increased in popularity. 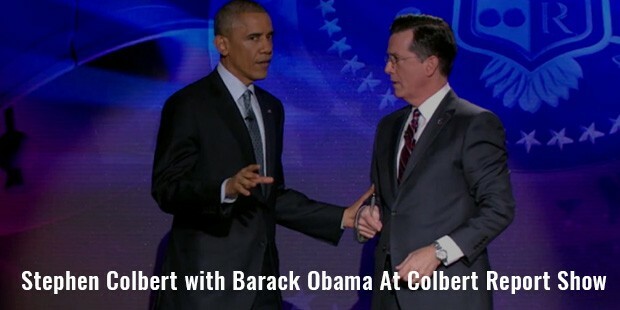 Colbert termed himself as a Democrat and stated during an interview that he did not have a problem with Republican people but had issues with the policies. 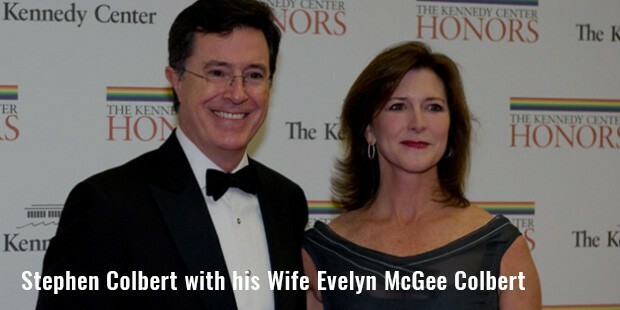 Colbert is married to Evelyn McGee-Colbert. Evelyn played the role of his mother in one of the episodes of the series “Strangers with Candy.”She also had an uncredited cameo as a nurse in the series pilot and a credited one in the film. The couple is blessed with three children.